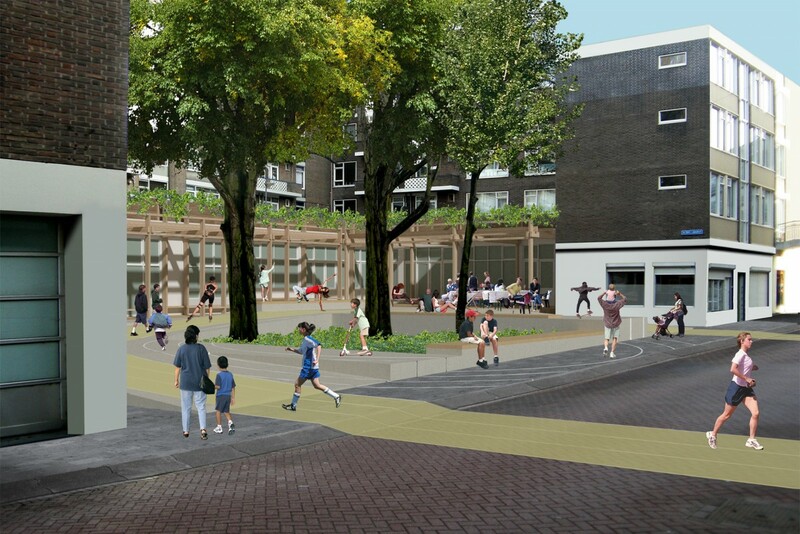 Architecture Institute Rotterdam (AIR) and the municipality of Rotterdam organised an open call for architects to re-imagine underused and difficult small locations in the urban fabric, in order to revitalise them. 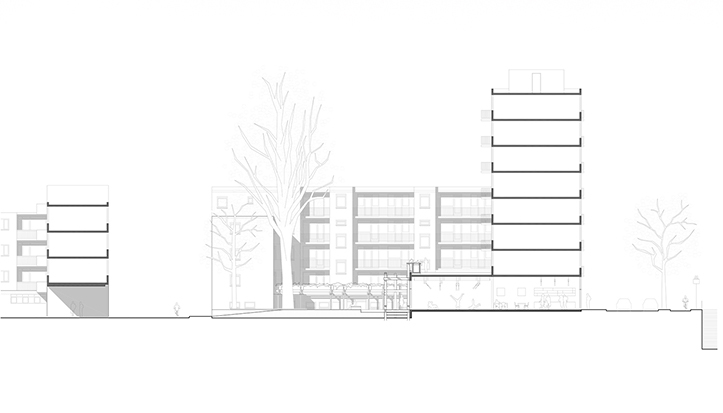 We got selected to develop a proposal for an expedition court in a typical post-war building block on the edge of the city centre of Rotterdam. In a public programme called PLUG RDAM, we developed our research by design project and presented the outcome of our study in a public event on site. 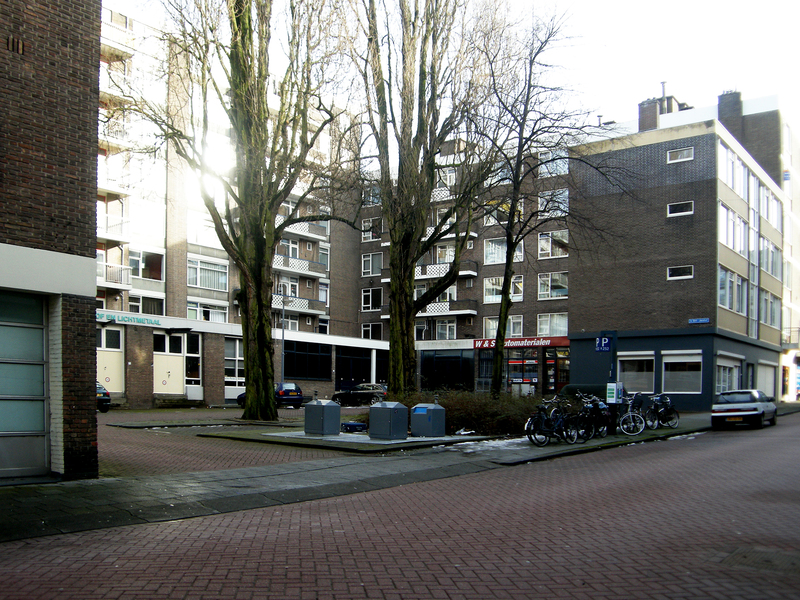 The shared characteristic of all streets in the quarter of our site is that at ground level, all buildings have a representative frontside but a backside that connects to an expedition street or court that is not being used anymore for that purpose. Lacking any better idea, these streets have become parking places without any attractiveness. 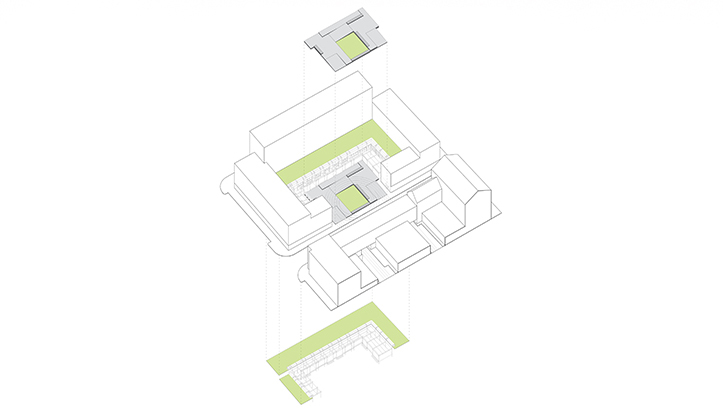 However, this courtyard provides the light, air and space to the adjacent buildingblock and has inherent potential for the redevelopment of the plinth of the building, in which there is a lot of vacancy. So instead of filling up this court with another building, from the start, we were looking for ways to reprogram this unused space and make it the centrecourt of the buildingblock around it. In the current situation, one business had relocated it’s entrance to the backside, facing the parkinglot: a car parts shop. Under the current circumstances, this makes a lot of sense. During our investigations of the neighbourhood, we discovered a high concentration of sports and revalidation related activities as well as an abundance of cafe’s lacking an outdoor terrace. 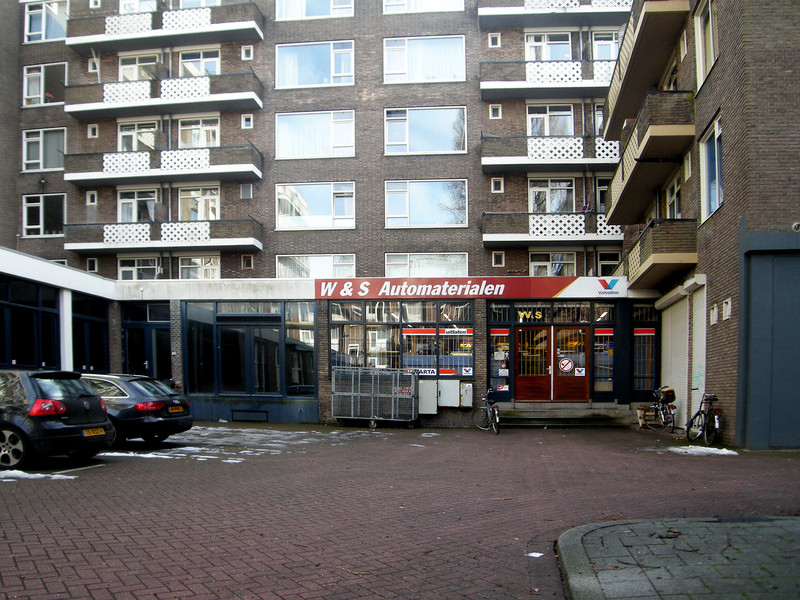 What if – in analogy with the car parts shop – we could bring those two programs into our courtyard and turn the collective space into a social meetingplace / terrace / sportsfield / playground? So in analogy with the current carpark, how do we create a pocket that turns the backside into frontsides? So in analogy with the current carpark, how do we create a pocket park that turnes the backside into frontsides? In order to transform the courtyard, we conceived a development strategy instead of a finished design proposal. Step one combines the wishes of the businesses in the plinth with the dreams of the residents above them, by introducing a multilateral object from which they both benefit. The pergola that we designed creates a personal inbetween space on the anonymous backside, adding a small transitory space between the courtyard and the shops which businesses can personalise. On the roof, the pergola takes shape as a big planter that simultaneously acts as a fence for a long wished for roof garden. Due to a natural slope, there is a height difference between the shop interiors and the courtyard exterior of about 60 cm, enough to form a boundary between inside and outside. Step two is the creation of the public heart of the plaza by means of a sloped landscape that seamlessly connects all interiors with the exterior courtyard, creating a boudary free interface from the street to the higher interior and maximazing the potential usage and attractiveness of this pocket park. By adding graphic lines indicating a runtrack, we reference the initial expedition movement through this space but instead turning it into an expedition court for social movement. Step two is the creation of the public heart of the plaza by means of a sloped landscape that seamlessly connects all interiors with the exterior courtyard, creating a boudary free interface from the street to the higher interior and maximazing the potential usage and attractiveness of this pocket park.